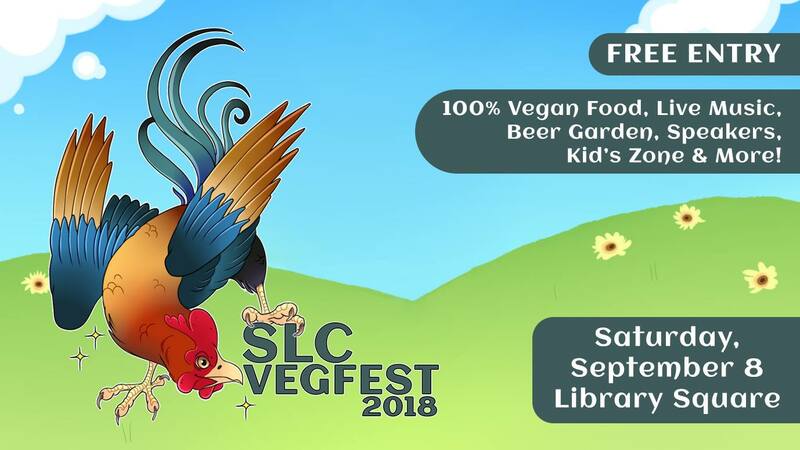 This Saturday, thousands of vegans and veg-curious people will descend on the Salt Lake City Main Library Plaza for the 3ndannual SLC VegFest, a festival presented by UARC. 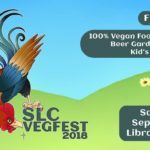 SLC VegFest 2018 will feature food, a beer garden sponsored by Ice Haus & Piper Down Pub, live music, a kid’s area with inflatable bounce houses, and informational sessions about the benefits of veganism. All of the food at SLC VegFest is 100% vegan, and the event has free entry. More than 50 exhibitors and vendors will be present, including nonprofit organizations, restaurants, bakeries, & food trucks. Local vendors will be selling a wide array of food options, including vegan “fish” and chips, “wings” from Vertical Diner, paninis, gyros, and Philly “cheesesteak” sandwiches. Additionally, attendees can buy vegan desserts like pastries from Passion Flour Patisserie, City Cakes, and Big O Doughnuts, and gourmet ice cream cones from Monkeywrench. “Last year, we had more than 4,000 attendees at our event from several different states, and we expect an even bigger crowd for 2018. VegFest is a fun event for people of all ages, as well as a great resource for anyone interested learning more about veganism or animal rights,” says Amy Meyer, Director of SLC VegFest.